Van Cherry - Prunus avium sp. Large cherry. Deep red, shiny skin. Dark flesh, semi-sweet flavor. Resists cracking. Heavy bearing. Cold hardy, very reliable. Needs pollinizer such as Bing, Black Tartarian or Stella. 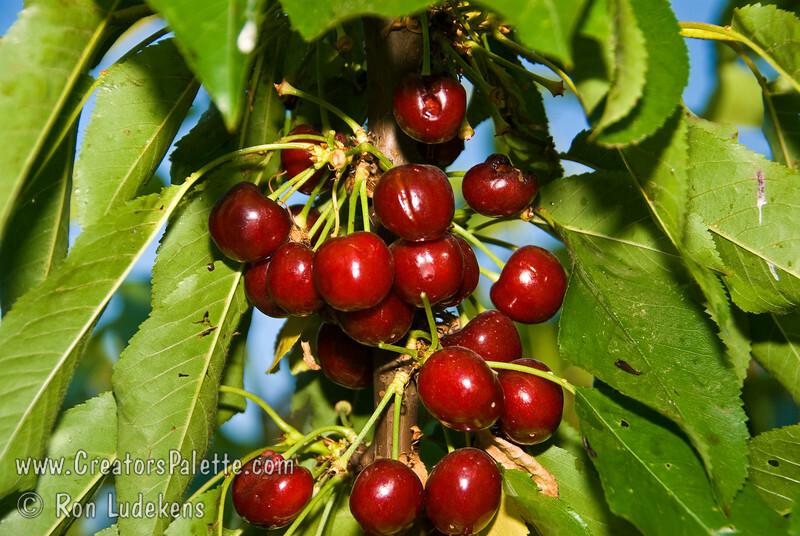 Excellent pollinizer for other sweet cherries. Ripens: Mid to Late Season. Requires approximately 900 ours chilling. This photo shows cherry almost over-ripe. Sweet - birds are picking them.